The building instructions for the TECNHIC sets are already available for download, from LEGO Costumer Service webpage. 8295 (includes instructions to integrate PF Motor Kit elements in 8293: Battery Box, M-motor, Pole Reverser). 8294 (includes instructions to integrate PF Motor Kit elements in 8293: Battery Box, M-motor, Pole Reverser). None of these includes yet the instructions for building the respective B-models, which should become available later. In case you prefer to find the instructions by yourself, take them from the Building Instructions webpage from LEGO Customer Service, here. Well: Looks like its got NO 4x4..
Of course I meant 8297..
Looks like i WILL be buying 8297 after all. That new differential gear looks great and very well designed. And despite not beeing all wheel driven I will buy it too - of course! The new differential looks pretty good. Making it 3-wide and with a bevel gear is definitely a step in the right direction. The bevel gear is thin, so I'd worry about deflection (and gear slippage) under high load. But the bevel gear is flat on the backside and could be supported by the surface of a beam. Maybe this will work well after all! at least we got new shorter towball couplings. 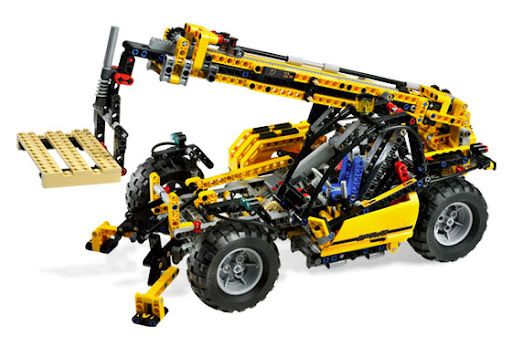 Maybe the next time, LEGO makes new steering arms like you demand. For the 4x4, also agree it to be something this set would deserve out of the box. For the differential, I hope to write something in a further post, but the main issue is to verify if it allow to be blocked like its predecessor or not. From the images I saw, it looks like it doesn't which we may consider a design drawback. Hope at least that the new design is really effective to avoid gear slipping. As for the 3rd-gen differential, the only advantage I see over the 2nd-gen is size: like Conchas wrote, it doesn't appear to be lockable (although no LEGO sets I know use that property, I wouldn't be surprised if some MOC had it) and has only one way to be driven (1st-gen and 2-gen can be driven in two ways). So, I think (read hope) this new differential won't completely replace its predecessor, but rather supplement it where size matters. 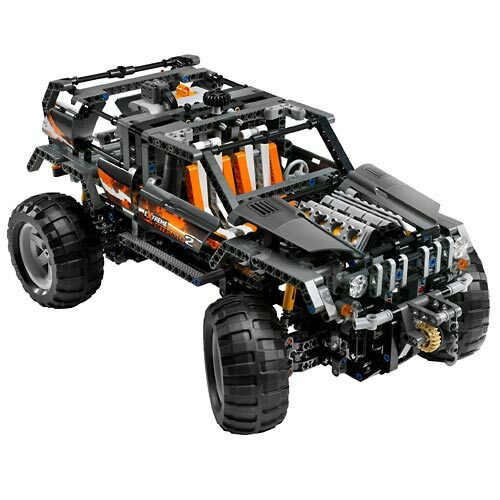 Also, I think it'll be only a matter of time before LEGO comes up with a more compact replacement for the currently cumbersome rack-and-pinion steering assemblies... universal joints and differentials have made the transition from "studmore" to studless, so gear racks shouldn't take long either. For the Telehandler, I don't have many comments, since it doesn't appear to have much in the way of special, save for the unorthodox steering system (reminding me of the 8272 Snowmobile and the nice motorisation possibility (instructions to add a motor, plus 8480/8292 function multiplexing). The tilting mechanism is a bit awkward, being actuated from the end of the arm, but I concede that extending axles and gears into the body of the vehicle would be too complicated. As for the excavator, let me first vent my anger a bit... MANUAL CAB ROTATION, AGAIN?! ARRRRGH!!! Whew, with that out of my system, I can proceed. 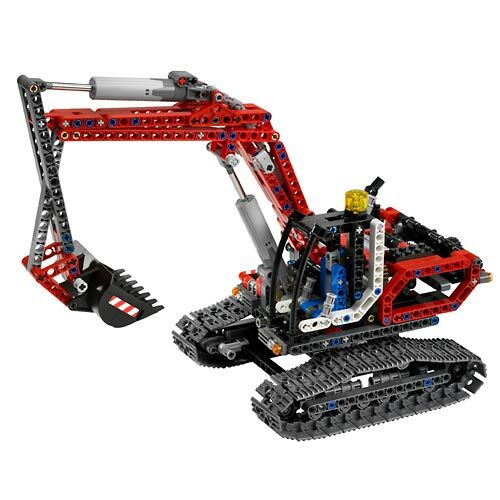 I can't wait to have it, mainly for the track pieces (I have a Snowmobile and an 8275 Bulldozer, but crawler tracks are never too many... ;-)) and obviously the new Linear Actuators; the Telehandler has only one and costs more. Furthermore, it shares the Telehandler's motorisation/multiplexation ability, which is always a plus, and is made in a colour other than yellow! I am a bit sick of so many TECHNIC sets in yellow. Also, I perhaps would be willing to pay a bit more to have independent bucket movement, to have three degress of freedom in total for the arm. But, like with the Telehandler, that would certaily complicate the global mechanism a lot; maybe a future Excavator, with 6 remotely-controlled Power Functions motors (drive, rotate cab, arm) and a rechargeable battery could be the TECHNIC flagship model of some year, like Conchas (and me too) wishes.